Fresh off his success at Paris Fashion Week, creative polymath Mr Virgil Abloh teams up with MR Porter for an exclusive collection with Off-White. 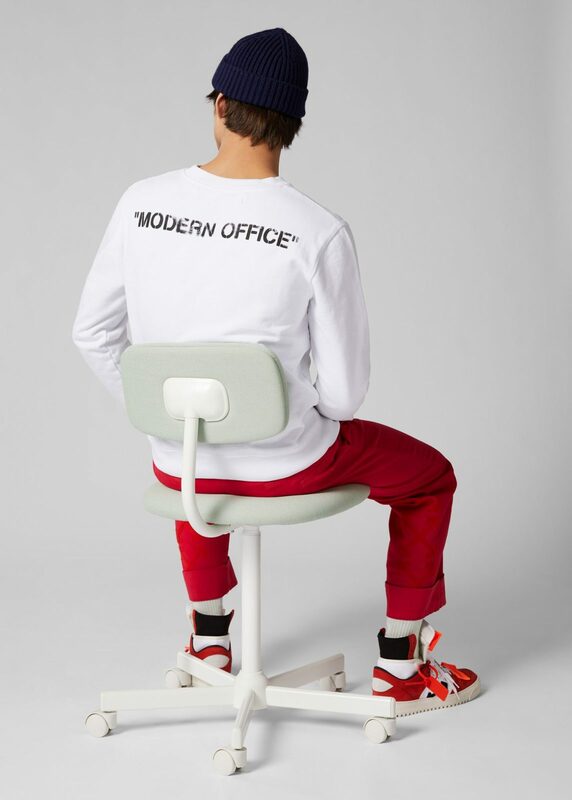 Redefining classic styles through Off-White’s youthful edge, the 44-piece collection titled ‘Modern Office’ is the largest capsule collection announced by the retailer to date. Inspired by ‘the besuited businessman and that young skater hanging out in the park on the Lower East Side‘ alike, the capsule collection possesses the open-mindedness of the youth, and also showcases designs that have never been done by Off-White before. Key items? the silk camp-collar all-over logo shirt, embroidered linen jacket, wide-leg linen pant with tonal Arrow logo, allover-logo silk camp collar and low 3.0 leather sneaker. The collection comprises of 20 ready-to-wear pieces, six pairs of shoes, bags, belts, shoes and lifestyle accessories which are available today via MR Porter’s website. You can browse the collection, here.